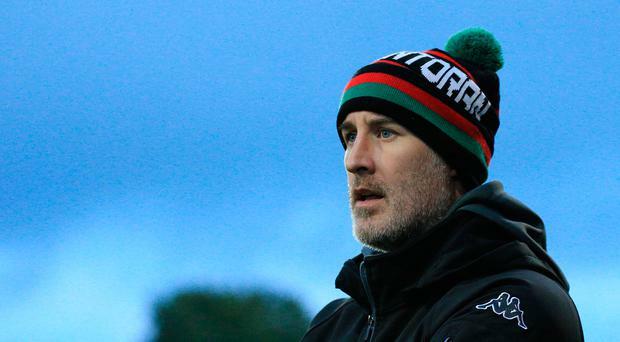 Glentoran boss Gary Haveron insists he has no intention of walking away after another Oval horror show by his boys. The east Belfast side fell to a shock 2-1 defeat by Ards, which prompted angry fans to stage a protest at the finish, calling for the Board of Directors to be sacked. Haveron, who was jeered on the way off the pitch, insisted he has a lot of unfinished business at the club, stating: "I don't believe anyone will work harder for this club. I intend to keep digging in and keep fighting. "Of course, I have to take responsibility for results. No one at this club takes their position lightly. We are all trying our very best. If I feel I'm not doing enough, I'll sit down with the Board when that time comes. "But I'm more determined than ever to get this club back to where it belongs." Guillaume Keke and an Elliott Morris own goal earned Ards a 2-1 victory despite Curtis Allen's late goal. At Ferney Park, Aaron Burns opened his Coleraine account as the visitors thumped Ballinamallard United 5-2 to close the gap on leaders Crusaders to two points. By Steve Jones Glentoran's hopes of featuring in the Europa League play-offs are still alive after Darren Murray returned to haunt Warrenpoint Town.